living that started the ball rolling. Creating a loose plan of enhancing a space and then dreaming upways to make it have both form and function is what I did. So have you been doing any planning for your outdoor living yet? I want to build on what we created and add some other features to the space. get quotes from fencing companies in your area. Knowing the cost is always a great first step. would prove to be very laborious. However fencing can be a DIY project at a fraction of the cost. Our fence comes in at the top of my list for the additions we added to our home in 2016. 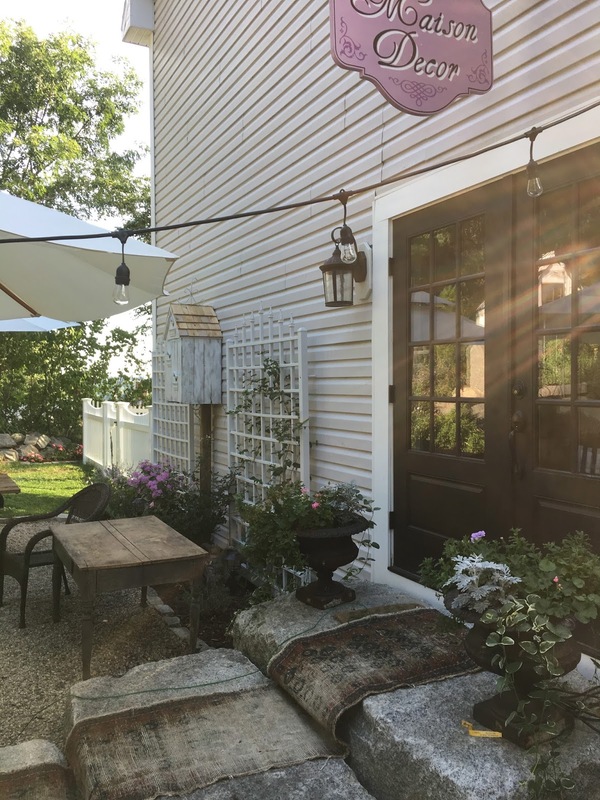 I got creative and imagined a bird house on a pole that would effectively cover the vent during the summer, which works well, as we don't use our fireplace during the time we are using the courtyard. An evening shot shows the bird house on a pole, and it was a great solution to an ugly problem. Made out of an old wooden crate for a base, I built a little roof and then added shingles to mimic the cute little shed I had just finished resurrecting from the scrap heap. The bird house vent cover is purely decorative and wire mesh will prevent birds from settling in and starting their home and families. 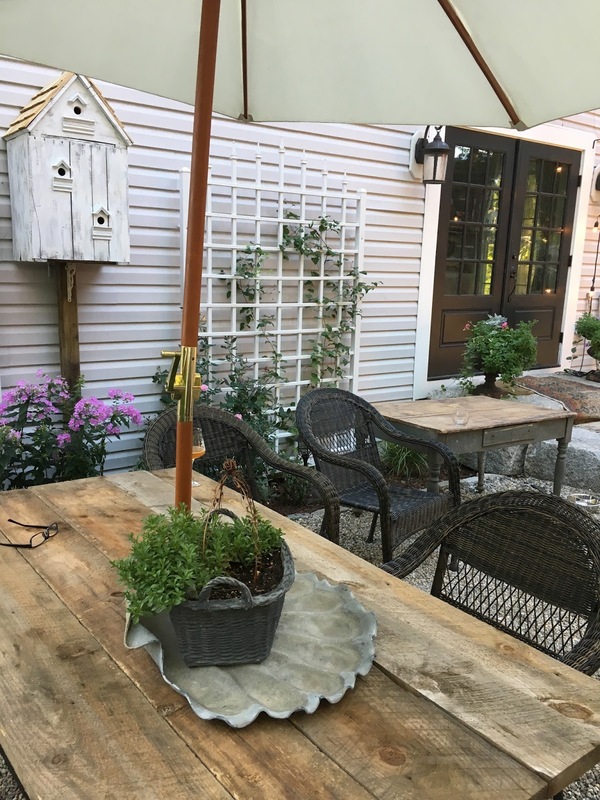 The rustic wood plank top to the table was another idea I had to change up the look of my 20 year old wire patio furniture. Planks were simply place on the top of the wire table and then strapped together underneath with thinner pine boards on each end to keep the plank top in place. Then I upgraded the chairs to an outdoor wicker set in brown ( shown in the previous photo) that I found at Lowes Home Improvement stores. These changes made a big difference. 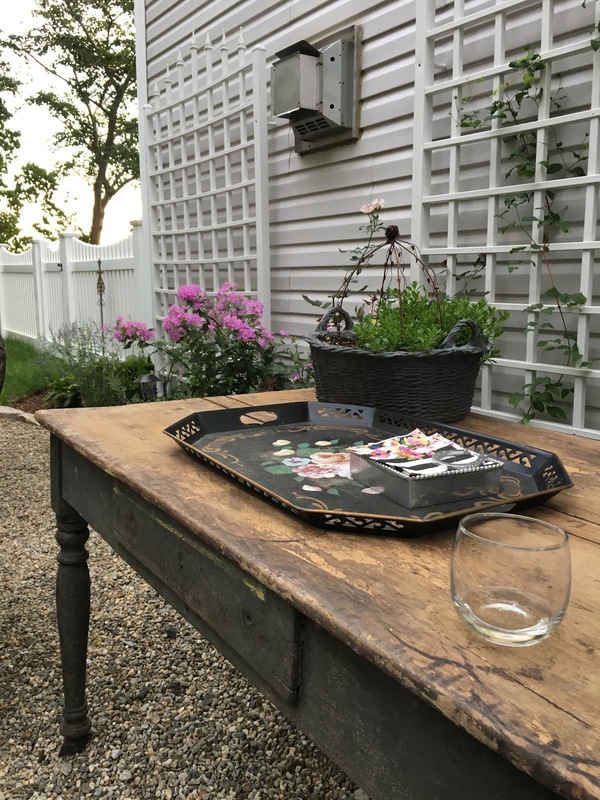 to get the jump on your own outdoor living plan. as I do now, the efforts will reward you on a daily basis. 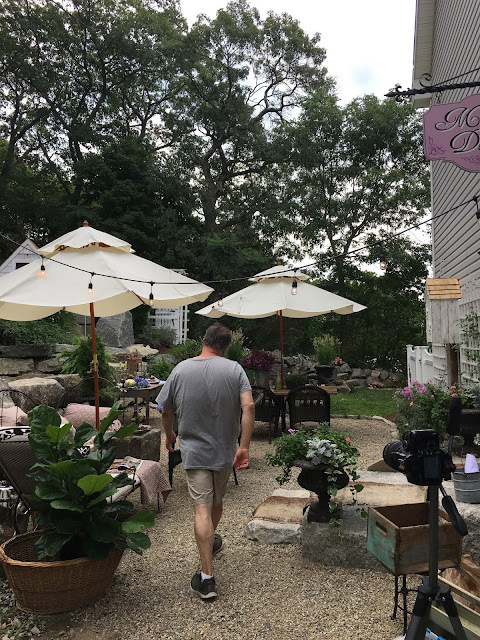 My family loves this space that I dreamt up, and so do I.
and it may become your own favorite DIY project too! PS. I just learned I landed the cover shot!! Can I tell you how excited I am about this??!! A dream come true, now I just have to wait for April to come. 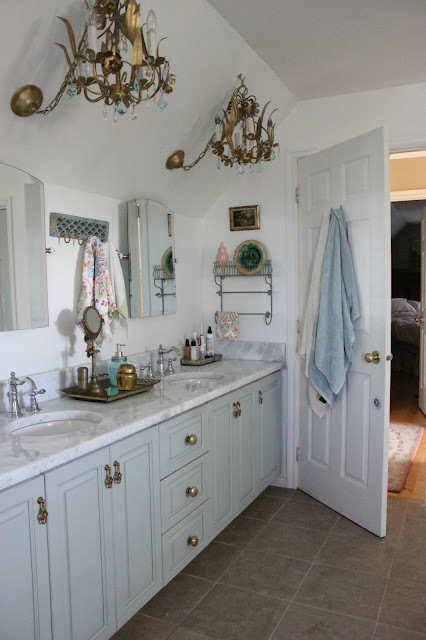 The lovely French Country style can work in today's modern homes. in a museum. Its a style I have a passion for, and I hope you enjoy this post. Let's take a look at some rooms that have the perfect mix, in my opinion. 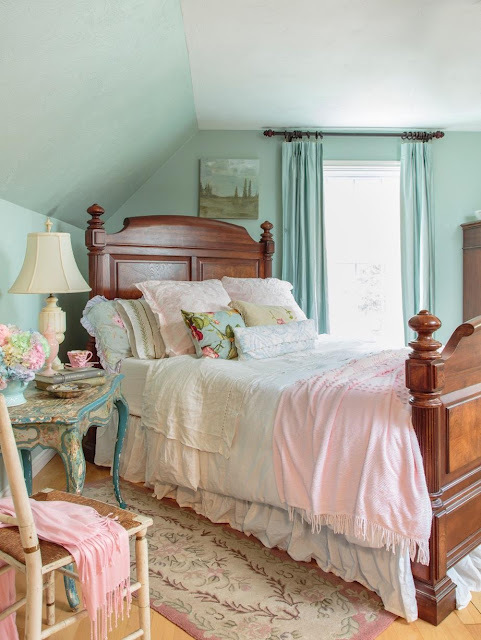 Everything about this room has wonderful French Country style for today's living. 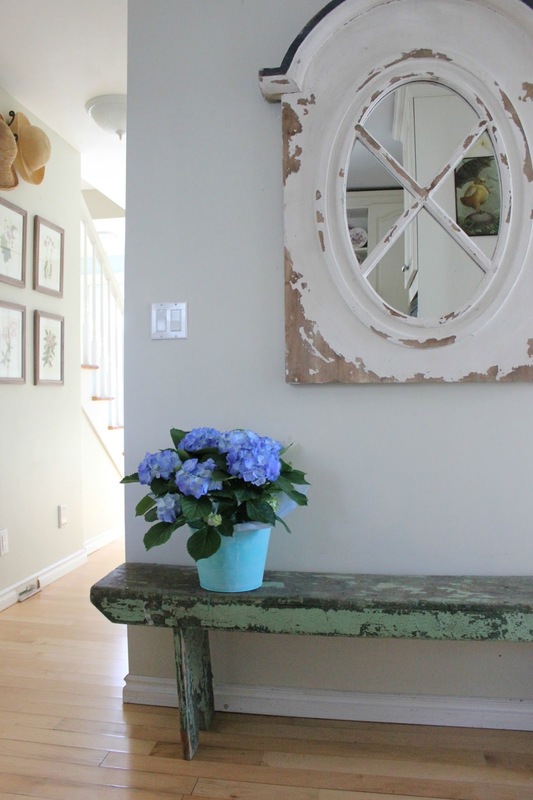 Rustic and feminine meet to keep the room welcoming to both sexes. 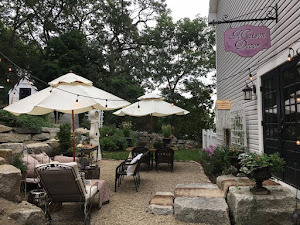 This home had the stone walls that set the rustic tone, so softness and femininity was added with fabrics and flowers. 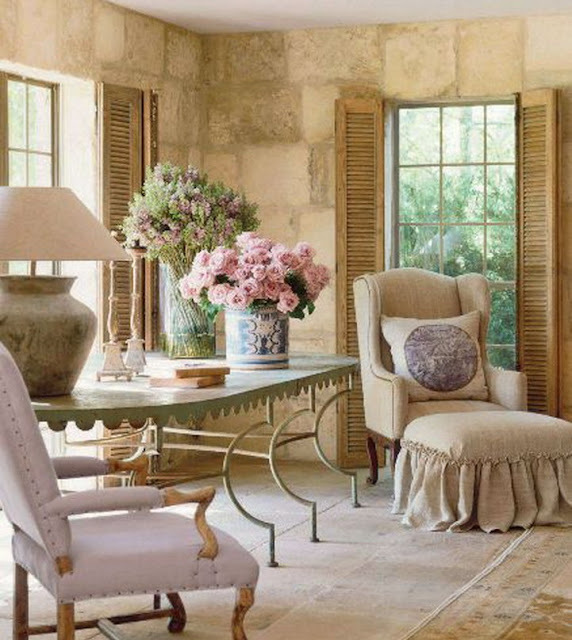 Look at the accessories: a pillow with an antique toile remnant, a green metal garden dining table used as a console, old books, weathered finishes on the chair, lamp and shutters, and crocks and vases of a single type of bloom speak to an easy country life style, which is what French Country style is all about. Bravo Pamela! with no gilded or fancy accessories anywhere in sight. 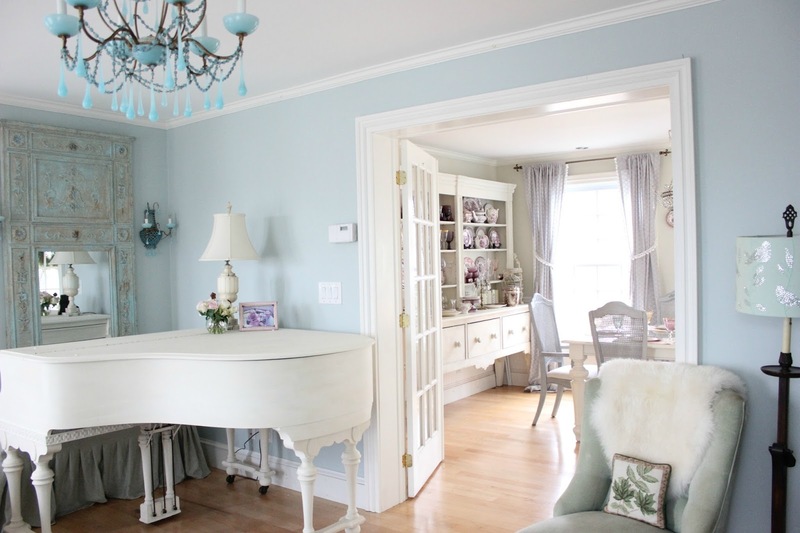 curtains flanking the french doors as well as on the upholstery. 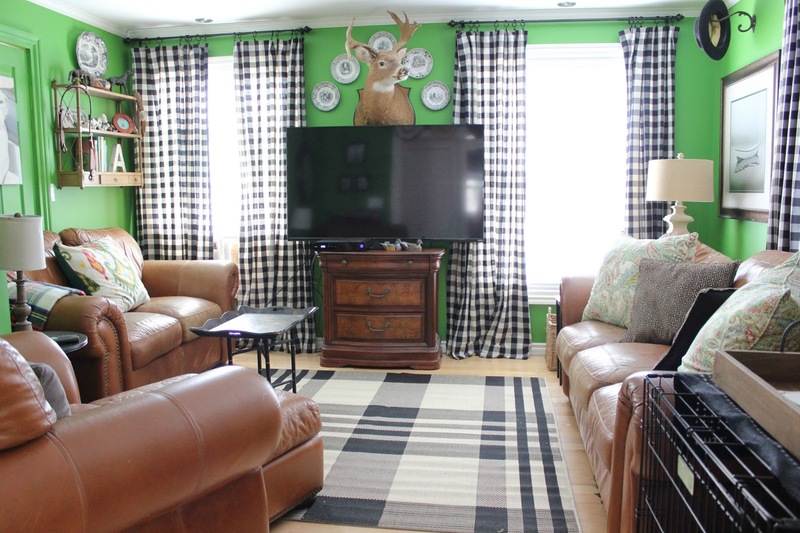 country style accessories make this room a great example of French Country. 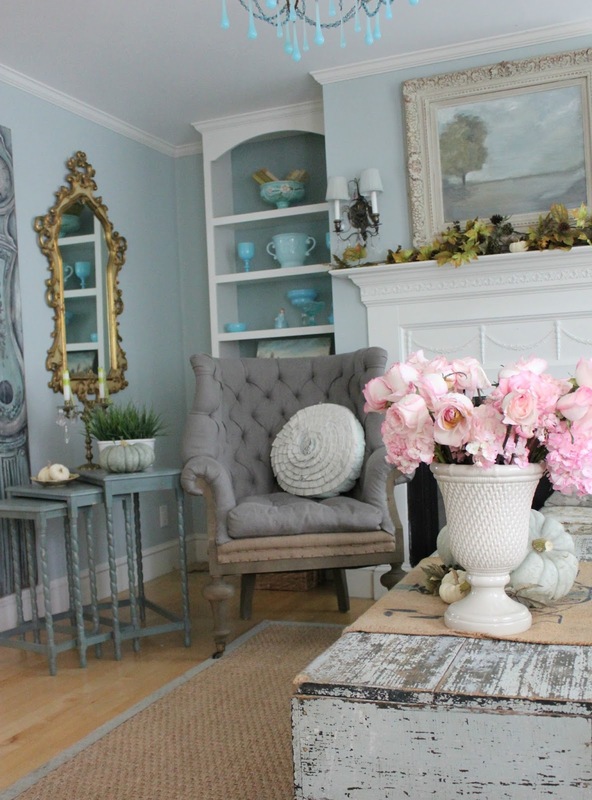 It is decorated simply with well chosen accent pieces. 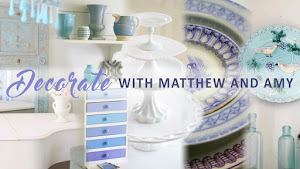 Every thing this Texas designer does, I love! 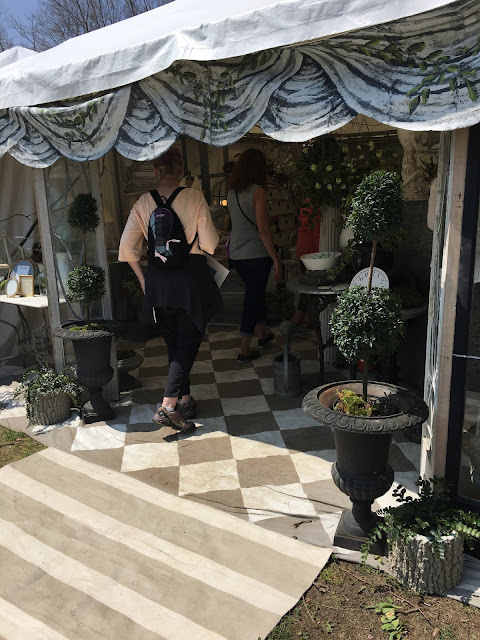 for the painted rococo table and the slipcovered sofas in linen. find in many of her rooms on sofas and chairs. The lavender fabric makes this room light hearted and fresh. are hung all around the room, a great French collectible indeed. as you might imagine fancier silk draperies would set a different tone. of the furniture from becoming too precious. I love the mix in this room. 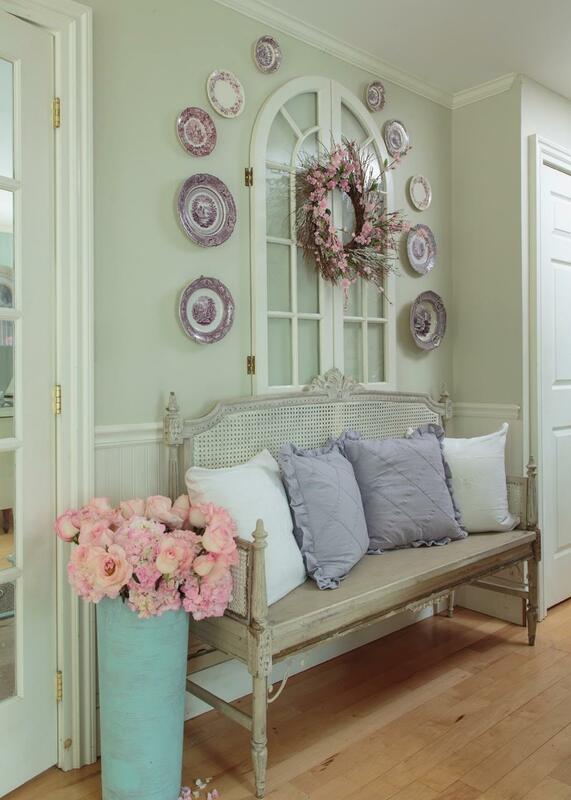 This is such a great little banquette dining nook done in French Country style. and then the area done in mirror behind the built in to visually increase the space. table, and then a random French chair in dark wood is added to take away from the matched set. 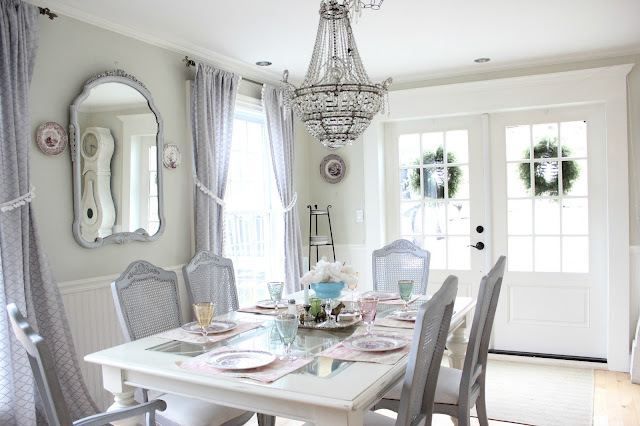 way to outfit a less than large eating area in a smaller home, townhouse or condo. 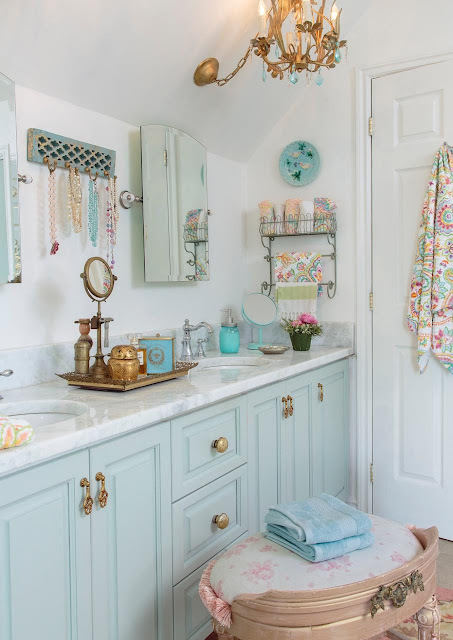 French Country style has evolved from this look, where there was tons of color and pattern everywhere you looked. 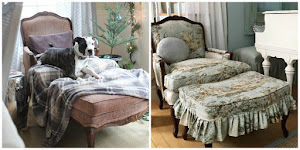 Toile fabrics, painted furniture and coordinating fabric patterns where once the way to create the "French Country" room. Now it is a "less is more" kind of look, using some of these elements, but not all of them together. 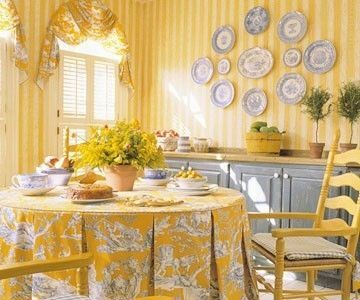 A more subdued interpretation of this beloved look is a modern way to use French Country style in one's home. 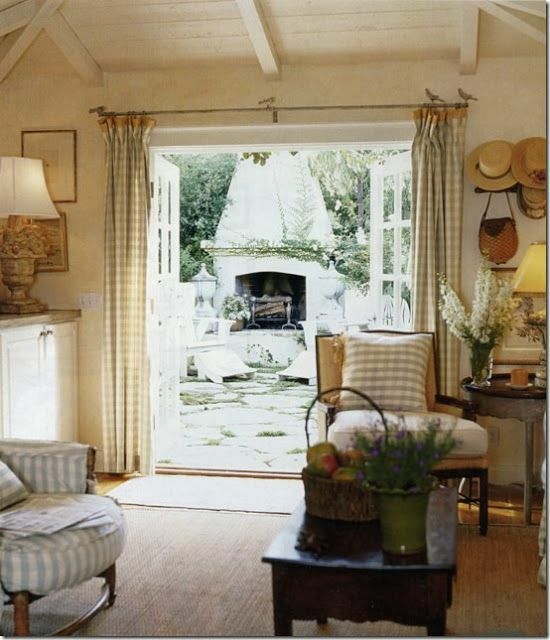 Imagine this room without the curtains, just the shutters. The table without the cloth, and that the table would be an iron garden table or a simple rustic pine piece. Painted chair with checkered pad is perfectly fine as is. 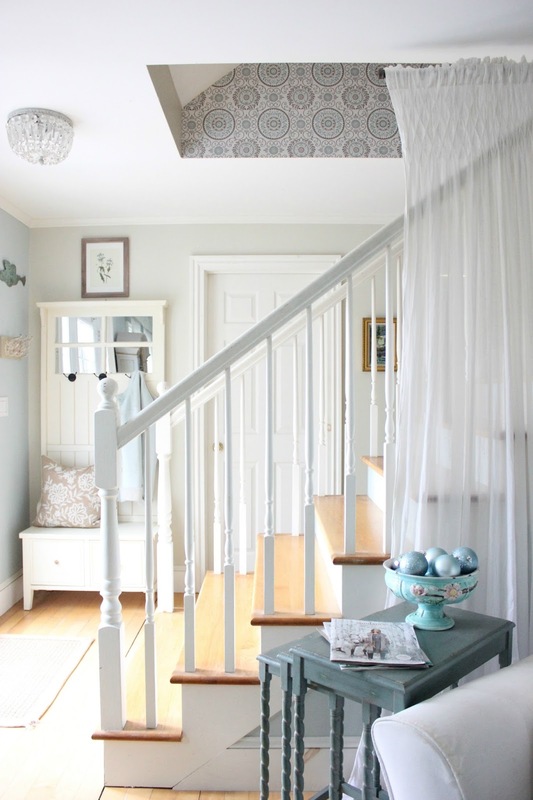 Strip the wallpaper and use a neutral white or greige paint on the walls. 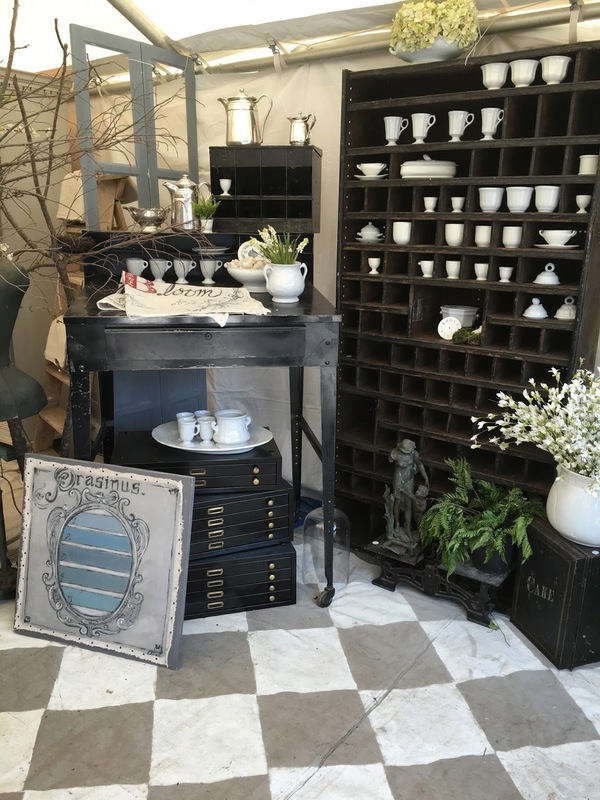 Finish it off with an antique French mirror flanked by some of the transfer ware plates, over the painted blue sideboard, or use a Swedish style plate rack. Now that would be an easy room makeover with stunning results! 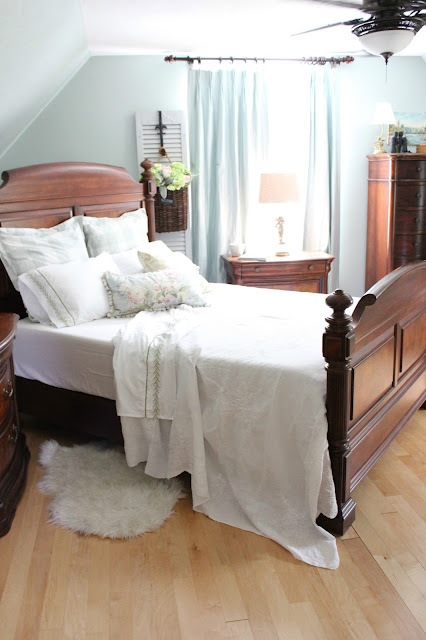 Do you have a French Country room that could use a little updating? 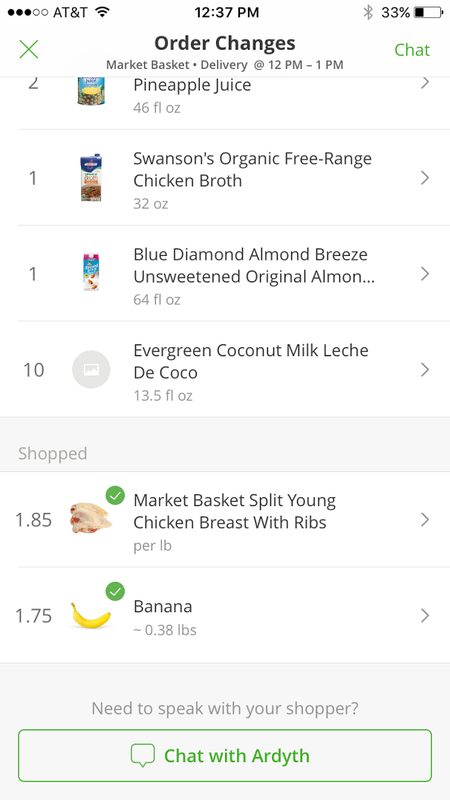 Wow, I have never ordered fresh groceries using the internet before. I happened to be looking for a brand of Coconut milk online when a suggestion for the Instacart service came along. So I decided I would give it a try, and order a few things. 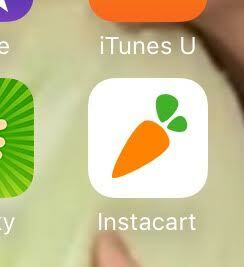 Wikipedia defines Instacart as an online grocery delivery service. 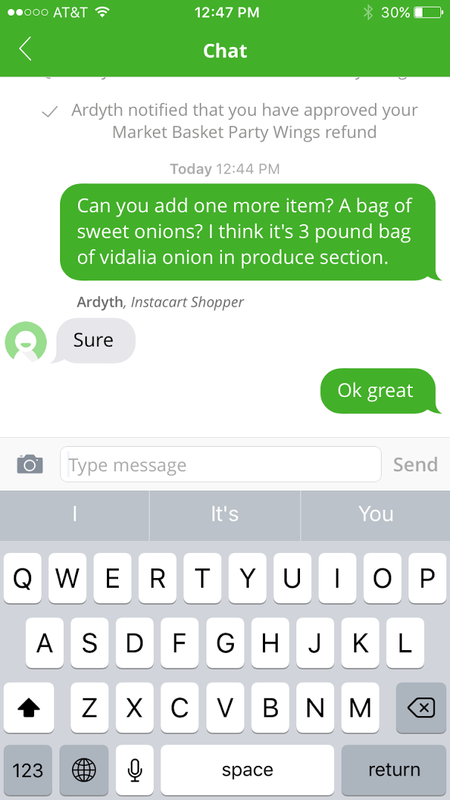 I had never heard of it, but I had heard of PeaPod and delivery services offered by the grocery stores themselves. This is different, as a personal grocery shopper will get assigned your list and then he or she will pick out your items and then deliver them to your home. I was blown away at how easy this turned out to be. But would the produce and the meats I selected be as good as those I would pick out myself? That was the part I was most curious about. Below are screen shots of my phone as the order started to get filled. You can watch it in real time, which is pretty fascinating. 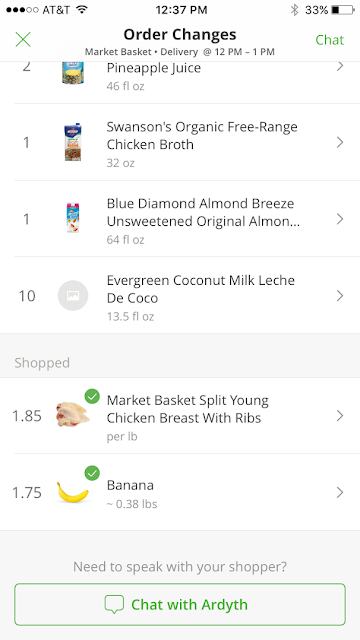 I placed my order and in about two hours I had my groceries. however you can pick from several stores, Whole Foods and Costco. you can have the shopper pick out a similar item. My shopper's name was Ardyth, and you can see as Ardyth shopped, it goes into the section of "shopped". If I wanted to communicate with her, I could hit the chat button to reach her as she shopped. I needed some sweet onions and I hadn't added them to the original shopping list. So I used the chat button to ask her if she could add them. Ardyth wrote write back, "sure". This was so bizarre, talking to someone who was picking out my groceries. 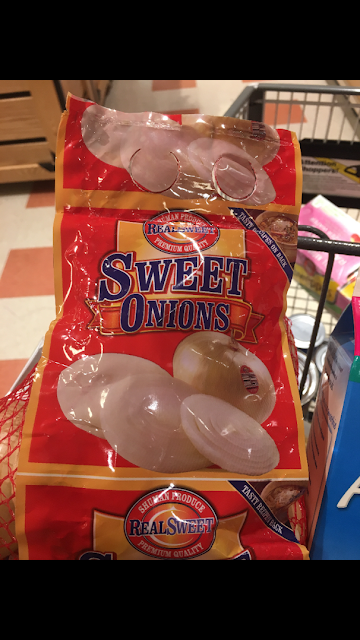 Then she sent me a photo of the onions she got for me. Yup, those were the ones! I could see my other choices in her cart, like the sparkling water and the almond milk. Ardyth called me when she arrived at my home. She pulled up in an older model jeep with her 10 year old son who helped bring in the groceries. her a tip, and off she went. You can tip through the app but I read some reviews about the tipping process and you can do it that way, but I thought this way it will go directly to her. 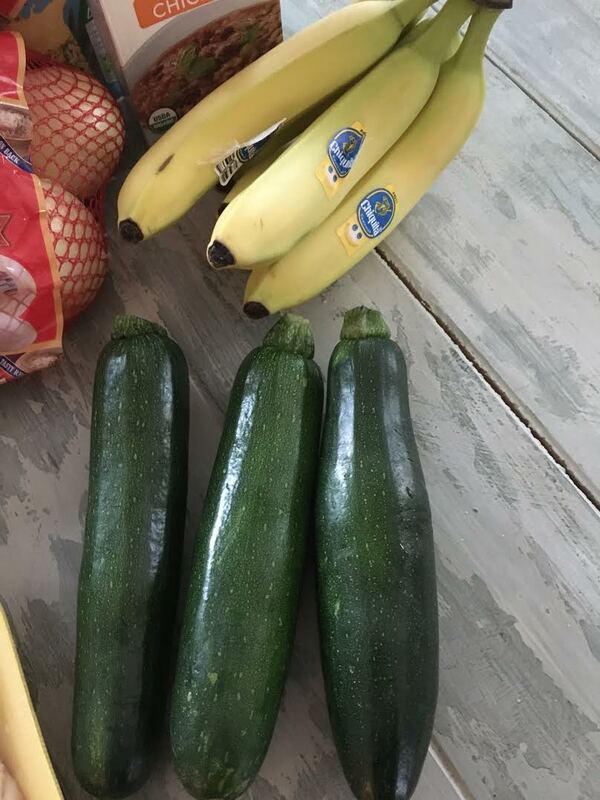 And how about the produce? It was just as nice as what I would pick for myself. the Patriots game today, but they were sold out, so that was noted and I was not charged. 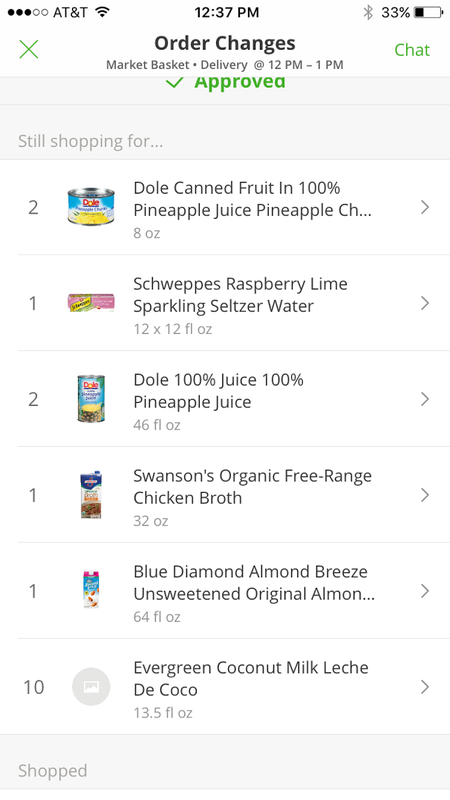 In the end, you get a grocery receipt for what it actually cost and you do pay a little bit more per item as well as a 10% service charge and then tip on top of that. I think this service is a great option for quite a few categories like those who can't get to a store, those feeling under the weather, the elderly who want their groceries but don't want to take a shuttle bus or rely on others, or those who want to avoid the weekend crowds. 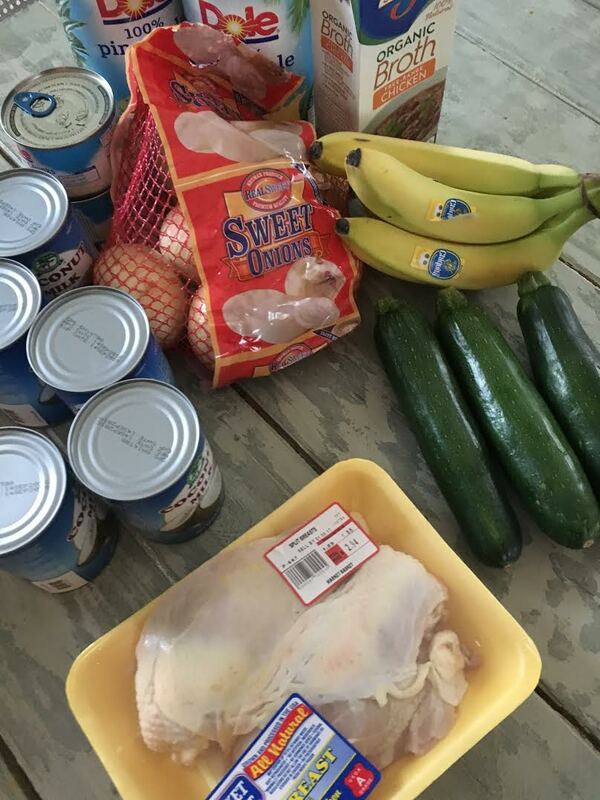 If I broke my foot or had the flu, I know I can still shop for our food! And I think of my parents, in their 80s in Florida, they can use this service right from their iPhones. Mom and Dad, how about it? It really was easy to use! and then you can set up your own account and pick the store you want to shop from. 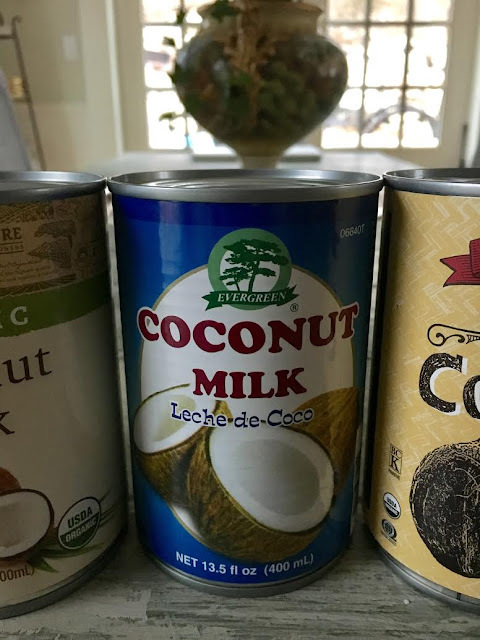 It all started because I was searching for this one brand of extra delicious Coconut milk. The one in the middle there is the winner. Why, you may ask? 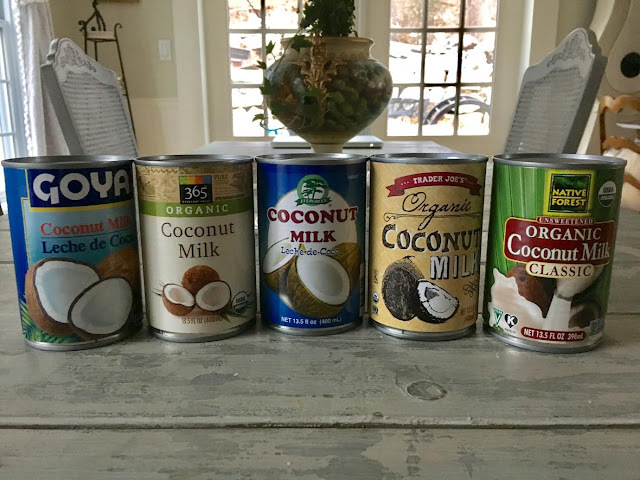 Well hubs and I are doing the Whole 30 diet plan again for 30 days and we cannot have any dairy, so we use this in our coffee every morning. And it is simply the best we have tried, and we have tried a lot! Evergreen Coconut Milk. Simply the best. follow through and get a sample of the color to put on your own walls. color will be very different than the one you admired. 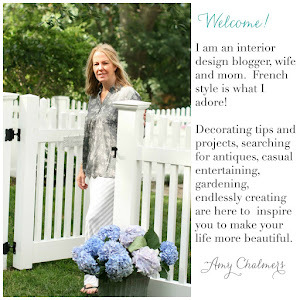 Often asked questions on my blog are about my own wall colors. They want to know the name and brand of the paint I use for certain rooms. Our living room was painted a year ago in Woodlawn Blue. This blue has a bit of green to it, and its such a pretty color. and things in the room that have more green make the walls look blue. The color will be darker when it is cloudy outside or at nighttime. The blue will vary on each wall, depending upon the lighting. I use, but this color is pretty much how I think it looks, at least on my screen. 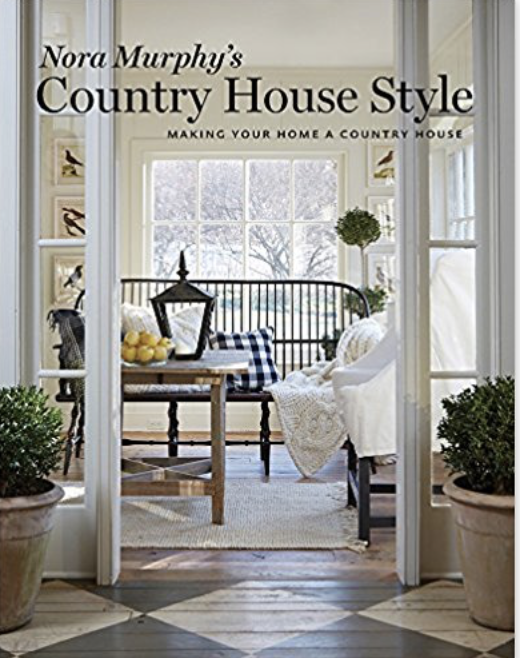 But take a look at how it looks in the current issue of Romantic Country magazine. so never pick a color from a magazine photo without testing it first. That being said, I love love love this blue paint! 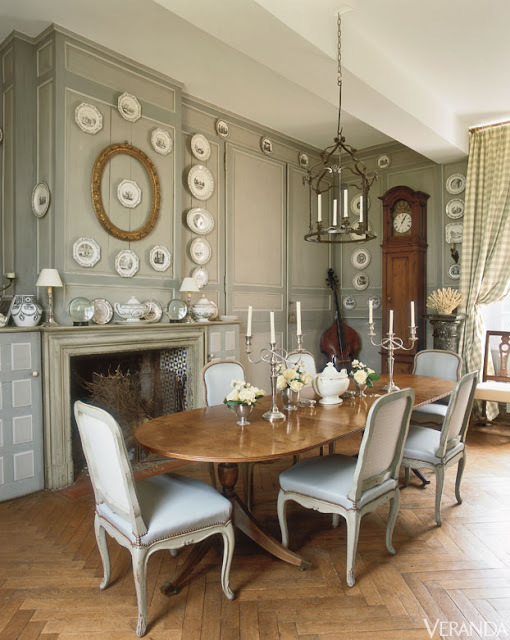 Our dining room walls are a taupe color that has a warm tone. Some taupes and greys are cool, and some are warm. I have not tired of this neutral color one bit. The woodwork is White Dove by BM. is the same as the rest of the room. It is a nice neutral, very light and it appears to go with everything. This is the same bench and wall in Romantic Country magazine. so lighting was used to simulate daylight. Notice how the wall color looks to have a green undertone. My hallways all have the same color, Natural Elements, with White Dove trim. 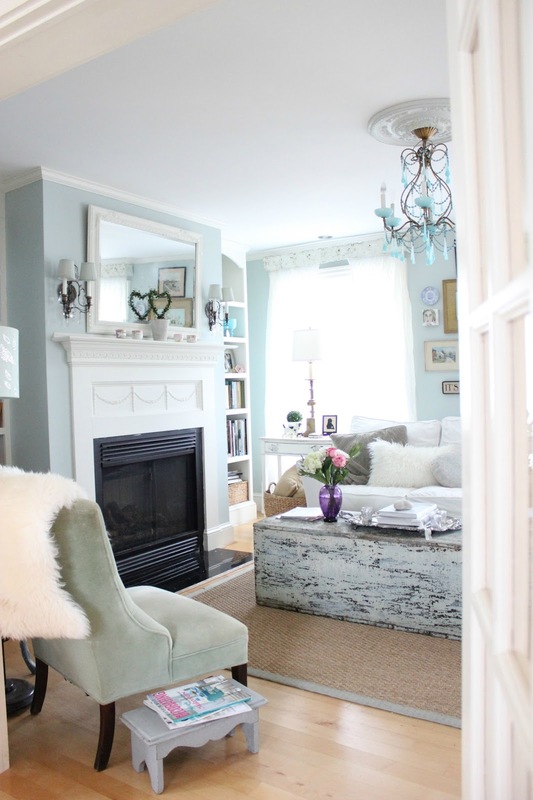 Using one neutral color will unify the spaces when you have open spaces. blue color, and you can see right there in the corner by the door how it looks. as you will see below. But here it is as we normally have it, mostly blue and white. 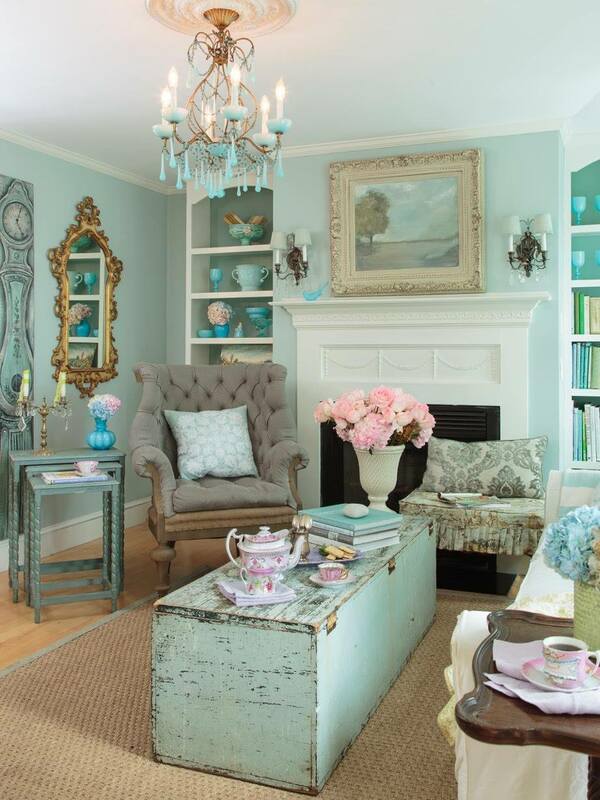 The wall color is also another pretty blue with a green tone. 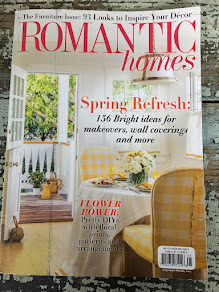 Romantic Country Magazine image shows the walls to be more intensified. So when you love a wall color in a magazine, beware! I think it would have been two coats to do what took three here. found in magazines and in real life. 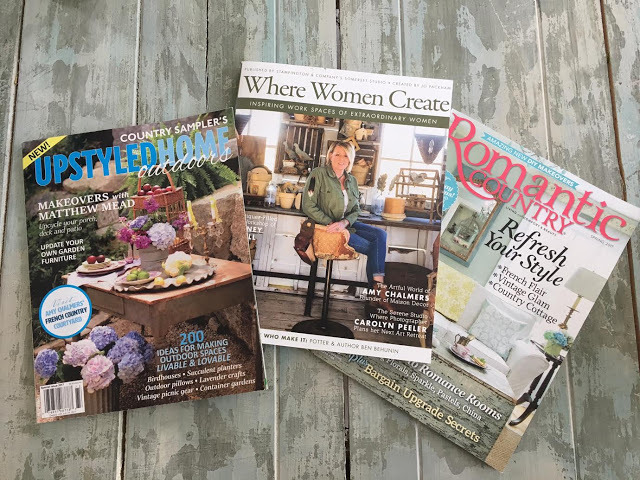 Can white look different in a magazine? all of the colors are intensified, and the white looks brighter. I do love the color, Simply White. My woodwork is White Dove. in the bedroom, Behr Contemplation. more sophisticated instead of something that came out of a crayola color box. Unless that is what you are going for, lol! My son, Brandon, an artist from Los Angeles, picked this color out. 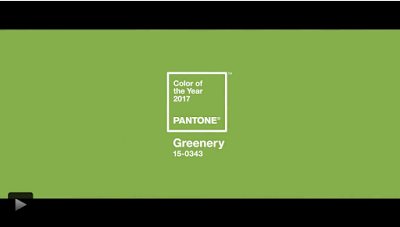 as the color of the year for 2017. 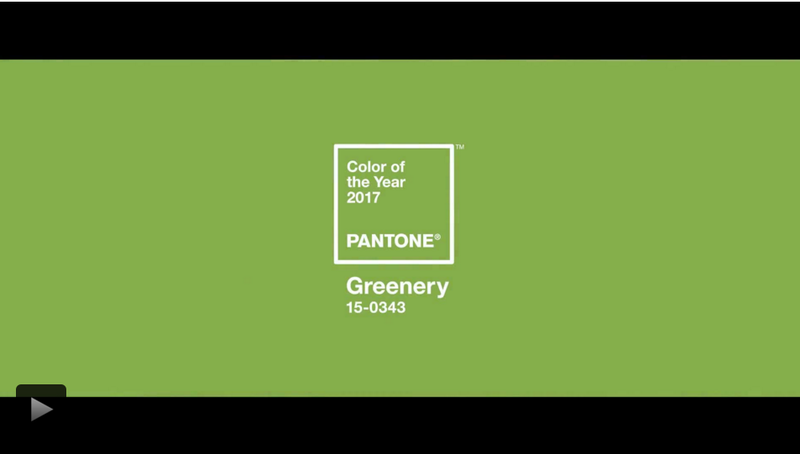 This color has more yellow in it, than our green does. but in the end it is a very fun color and everyone loves it. and the black and white is a great neutralizer to its boldness. and said, "oh we won't be shooting this room, it is not romantic at all". a flower cart filled to the brim to bring romance to that space. when my son and I set up our own booth at the Brimfield Antique Fair. I would be visiting her home with Matthew Mead for a photo shoot. 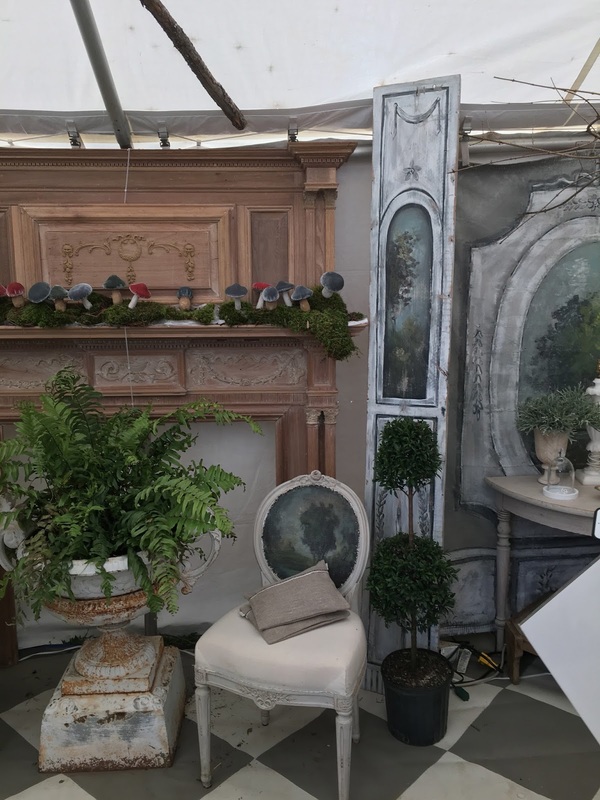 Sandy styled her booth with a sense of beauty and order. in the interview video at Sandy's home, so keep your eyes open. 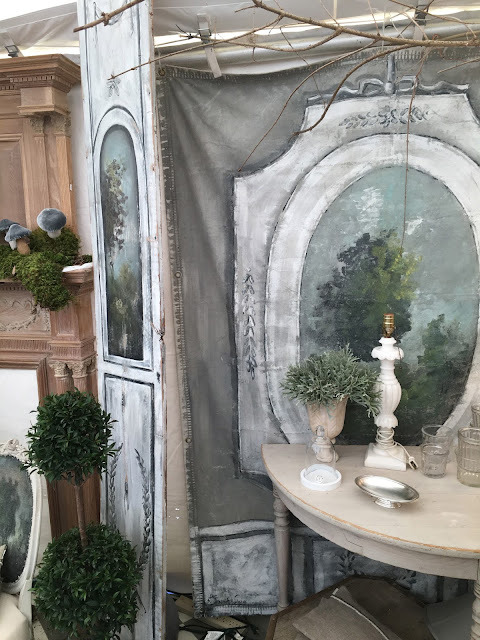 I fell head over heels for the painted french chairs, and the overall atmosphere of her magical booth. Fast forward to our visit in a few months. Her home would be just as enchanting! After the shoot, we set up our video cam and shot a Q and A with Sandy about her signature Swedish style. 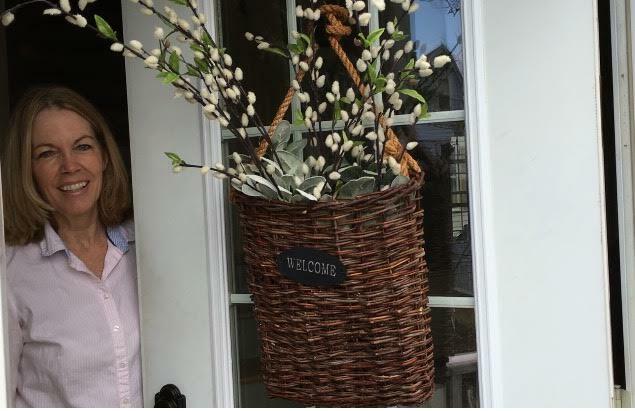 We hope you enjoy this interview at Sandy's beautiful country home. 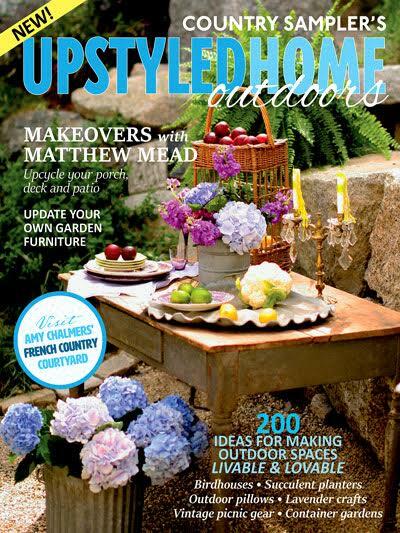 Her home is also featured in Matthew's current issue of Upstyled Home, the winter edition, on newsstands now. Enjoy!